Did you hear the news? This time next month Book Box Club will be two years old and we can’t wait to send you out an extra exciting box this September to celebrate this huge milestone (keep reading for more info on our INTO THE WILD September box). 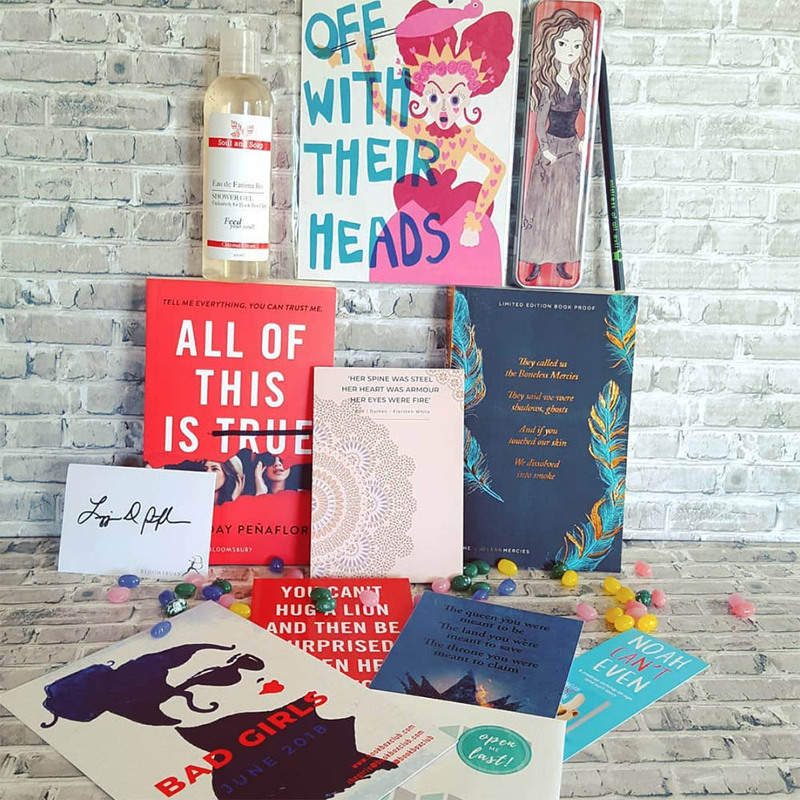 As we are in the mood for celebrating, we thought it was time to show you the contents of our Bad Girls themed June box. As soon as we started reading this awesome book we knew that we had to share it with you all. Anyone who has already finished reading our June read will know it’s so gripping! Something about the format and the characters really had us hooked! We can’t wait to hear what you all thought of THAT ENDING and to discuss it in our Clubhouse book group at the end of the month. 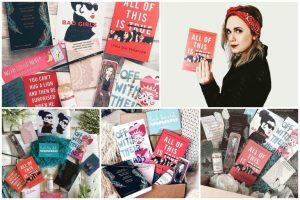 We had so much fun finding items that celebrated some of the feistiest females in fiction including Bellatrix, The Queen of Hearts, Maleficent and Fatima Ro from our featured read! As ever, we’ve been overwhelmed by the talent and brilliance of the small businesses who have crafted goodies for our June box. We have had lots of lovely people help us make this box great and we’d like to take this opportunity to thank every one of them! Our online book club is a secret society for book geeks! Join us and our friendly members to quiz Lygia Day Penaflor about our gripping June read. Our members are definitely not baddies so we’re treating you to a BONUS BOOK about a band of mercenary girls in search of female glory. Happy reading! Another evil queen… please don’t prick your finger on Maleficent’s thorny pencil… this bad girl is not to be messed with! Check out these awesome new YA reads from our publisher buddies at Bloomsbury, Macmillan and Scholastic. Thank you to @ booklepuff, @candlelightreads, @getmealibrary, @_shonashoe, @miss_mandrake, @xenatine for these stunning photos. Our September featured read! This beautiful hardback follows a social-media-starlet turned girl adventurer, who trades perfectly-preened selfies for the untamed trails of an epic solo hike. 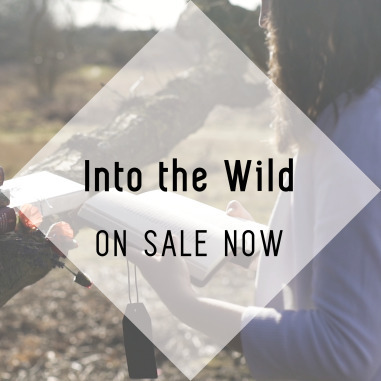 It’s an inspiring, emotional adventure story about being brave, embracing challenges and self discovery perfect for fans of John Green’s complex characters, Cheryl Strayed’s quest to find herself and Jandy Nelson’s thoughtful writing style. If you are susceptible to frequent onsets of the travel bug, or you spend your days dreaming about swimming in lakes, watching sunsets and sleeping under the stars, this is the book for you! A BONUS BOOK! As a special birthday box treat, this month we’ll be sending our members a highly anticipated advanced reading copy of fantasy fairy tale adventure, which is not due to publish in the UK until November. Our bonus book features a handsome prince, a distressed damsel, dragons and a wild kingdom! *The bonus book will be included in Book Box Club boxes only and not Purely Books parcels. A whole bundle of bookish goodies inspired by grand adventures, plus a few little self-care goodies to pamper our adventurous members. Watch this space for sneaky supplier reveals coming your way very soon! A signed bookplate from the author and, of course, an invitation to our members-only online book group! We are already so hyped to discuss our September book with you all! We only have a limited number of September Into the Wild boxes, so if you haven’t already secured your membership then click here to join us.